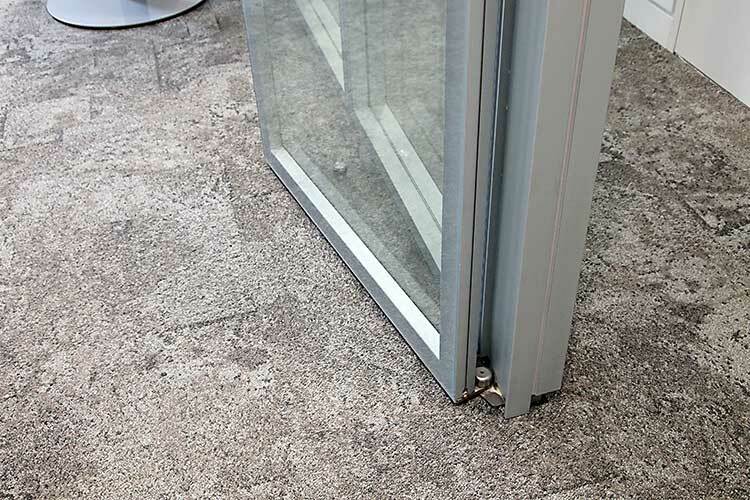 A painted band around the perimeter hides an aluminium profile bonded to the back of the glass which give a flush appearance to the glazed wall when built, all matching the thickness of the system. 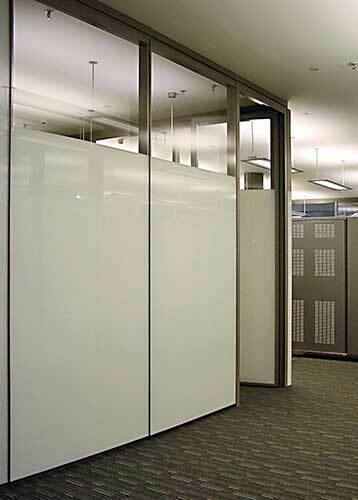 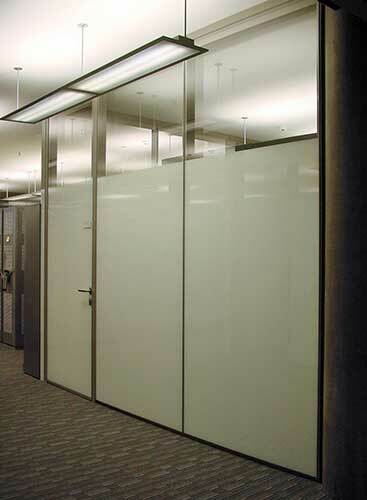 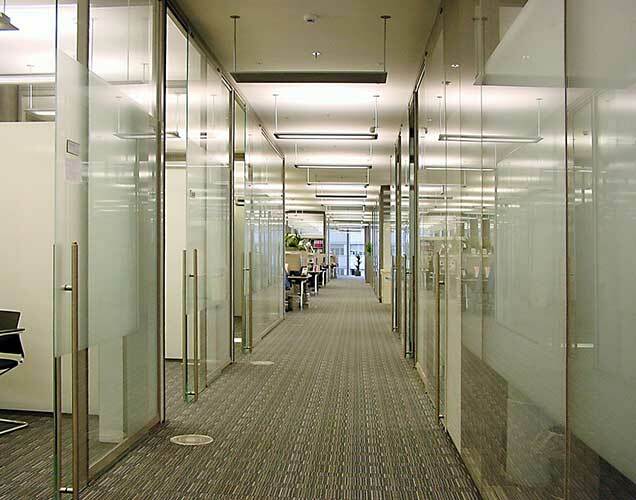 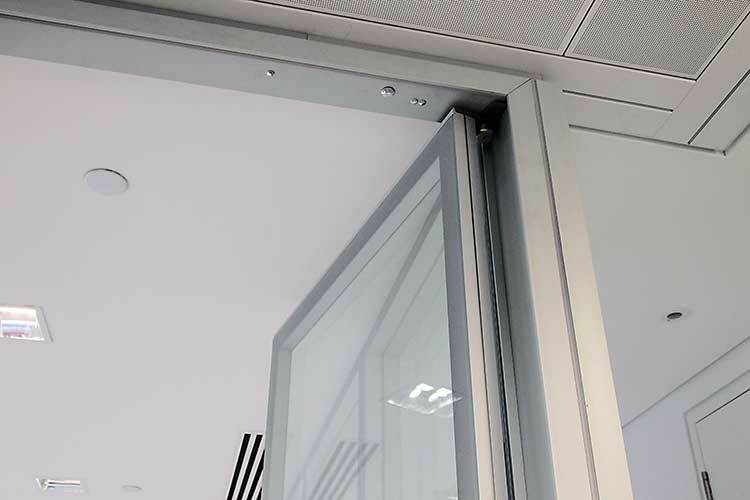 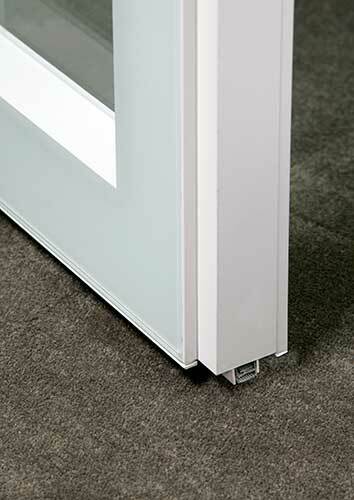 A double glazed assembly will deliver the same flush detail on both sides of the partition. 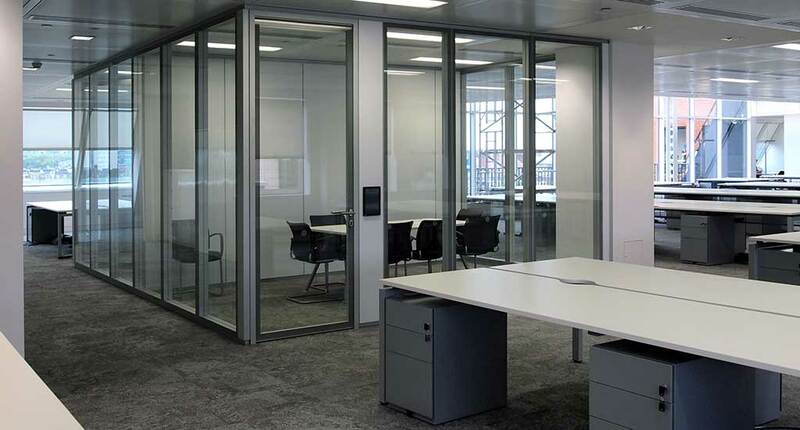 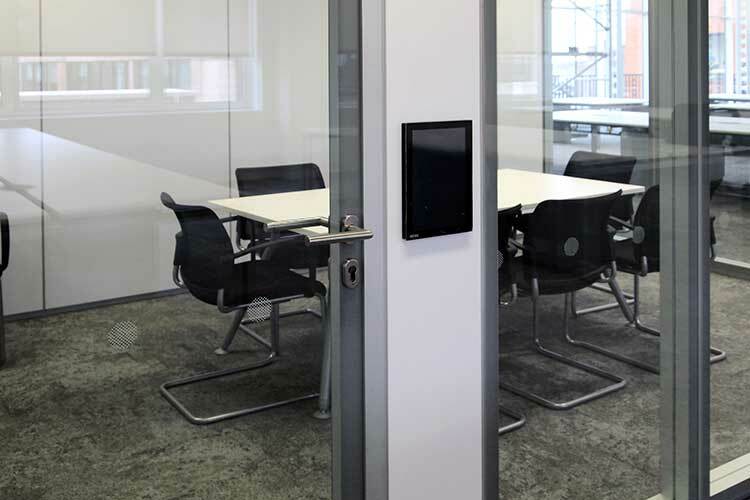 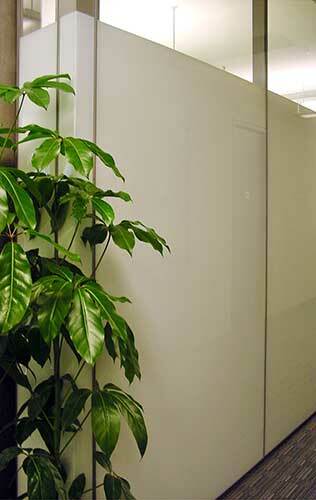 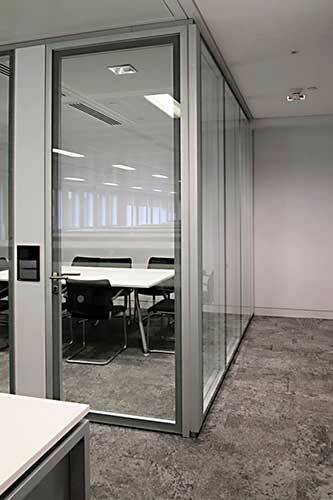 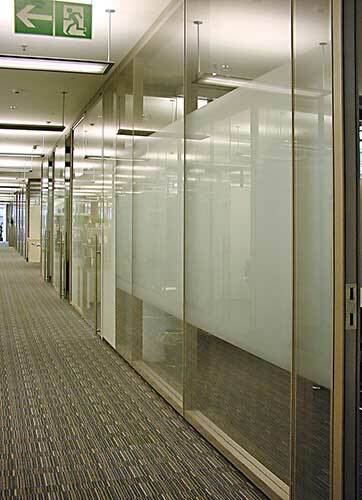 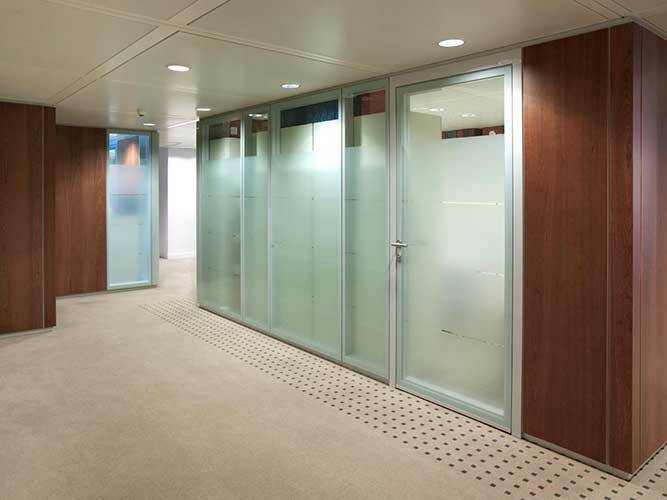 Solid panels can be swapped for glazed, giving ultimate flexibility and ease of assembly. 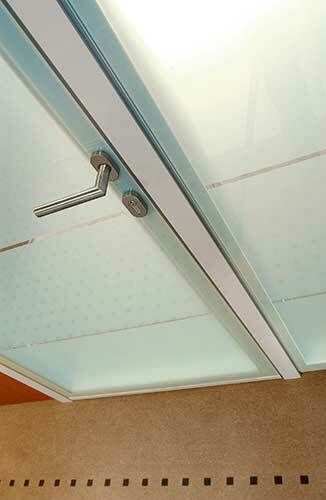 Perimeter bands are normally coloured black, white or metallic silver, but custom colours are possible.